There are a number of digital platforms coming into being and there is no stopping this growth of the digital space. But as businesses struggle to keep up their presence on digital without getting lost in the volume, marketers too are now changing their approach towards addressing the target market. From trying and testing new campaigns on their target market and waiting to see their response on it, marketers are now approaching the market in a more data driven manner. What makes predictive modelling important for digital marketing? Predictive modelling is the tactic of using statistics to predict the outcomes of campaigns in the addressable market. Usually this tactic is used to predict an event in the future, but can also be used to gauge an unknown event irrespective of when it occurred. To optimize business marketing budgets, it is important for marketers to know how their target audience would react to a campaign based on previous data. This data could be their reaction on a previous marketing campaign, their online behaviour, purchase habits and more. 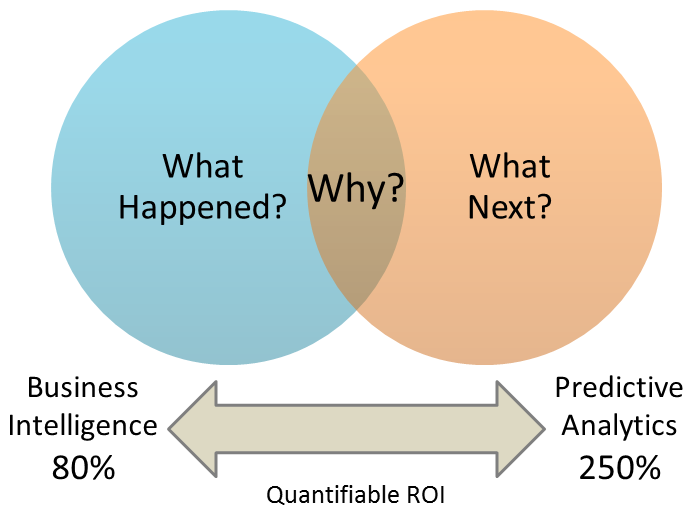 Knowing what happened, why and what’s next for a campaign can rev up the quantifiable ROI. Customer data integration is important as it enables marketers to deliver highly relevant customer experiences to their target market. They are able to nail the messaging and offers across multiple channels when they obtain a single view of the customer. This increases the response rate on all the channel campaigns. This single view of the customer isn’t just nifty for data driven marketing campaigns, but also providing them with customer service and determining their sales cycle. Every target market is comprised of different customer segments – the exact reason why marketers choose to run the same campaign with different messaging and offers, in different areas. Each segment in the target market has a different characteristic, that determines the response rate a campaign would get. Predictive modelling helps narrow down the target market into extremely defined customer segments. These segments are determined by the current and previous data around a customer. For instance, when you send a 15% discount to a new customer, he is more likely to convert. On the other hand, someone who is an existing customer, might not find the 15% appealing enough to convert again. Multi Channel campaigns help marketers boost their effectiveness because customers who touch base on them on various channels, are more likely to remain loyal. Customer loyalty is becoming increasingly important in order to keep the acquired market engaged and far away from switching to a competitor. Predictive modelling provides the data on their changing behaviour and helps marketers run campaigns that build strong relations with the customers. Be it a loyalty program or an additional off to someone who has recently made a purchase to up sell another product. Social media is by far the most active digital channel for the addressable market. Incorporating social variables into predictive models for multi channel strategies can help understand the acceptance rate of a campaign. It brings customer data and real-time variables such as sentiment analysis on messaging to determine the success of a campaign. Instead of using all the customer data only to effectively promote the business, marketers can use them also to offer better customer experience. They can tap into what interests the customer the most, add value to them before they ask for a conversion – a more sustainable way of acquiring new customers. The core of predictive analytics is to understand how a customer would respond to a campaign. But customers today are non-receptive to only outbound marketing. This only goes to say that marketers need to use analytics to creating engaging and relevant customer journeys for their future campaigns. Today, both B2B and B2C industries are moving towards data driven marketing. This has resulted in a partial convergence in the marketing tactics they apply. Now both the industries focus on gathering data, applying insightful analytics to them, strategise lead nurturing and event communications and analyse the response for future campaigns. Predictive modelling helps marketers refine their target audience. Since they are aware of which segments will be more responsive to a campaign, they are able to eliminate the others from it – optimizing on the marketing budgets of multiple channels. This also helps in cleaning the email list a business has generated over time. Keeping only those who are more likely to convert or have converted before in a separate list, and those who are the least likely to convert, in another. Using predictive modelling has proven to improve the ROI on multi channel digital campaigns. And companies like Wigzo provide smart tools to the modern day marketers to leverage from predictive analytics. Is predictive modelling a part of your marketing strategy yet?